An investigation has started after a 39-year-old man died shortly after being taken into police custody. 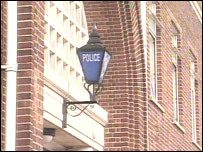 Lloyd Butler, from Sheldon, Birmingham, was arrested following a call from his family that he was drunk and incapable. He was put in a cell at 1215 BST on 4 August and kept under observation due to his poor condition, the Independent Police Complaints Commission said. West Midlands Police checked on him at 1515 BST then started first aid. He was taken to hospital but declared dead. Police referred the death at Stechford police station to the Independent Police Complaints Commission IPCC which began investigating on 5 August. The IPCC said it had been asked to review the police officers’ actions to ensure they had followed national and local guidelines for custody care. Len Jackson, IPCC commissioner responsible for West Midlands Police, said: “The loss of a loved one is difficult for any family to respond to and this is especially the case when that person has been in the care of others.